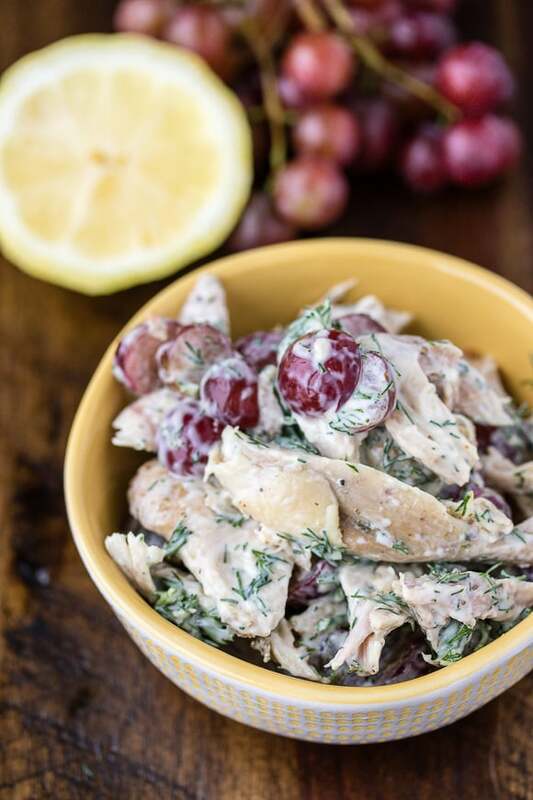 When you need a quick lunch, you can make this Five Ingredient Chicken Salad recipe that is dairy-free, paleo, and Whole30-compliant! This dish is full of flavor, with only five simple ingredients. If you have cooked chicken on hand, you can literally make this salad in 10 minutes or less. Pack it up in a cooler bag with some lemon poppy seed energy bites, some grain-free nacho tortilla chips, and a green juice and you’ve just made an epic easy meal. If you want to make it for a party, then you’ll need to double or triple the recipe. But, the proportions will stay the same. 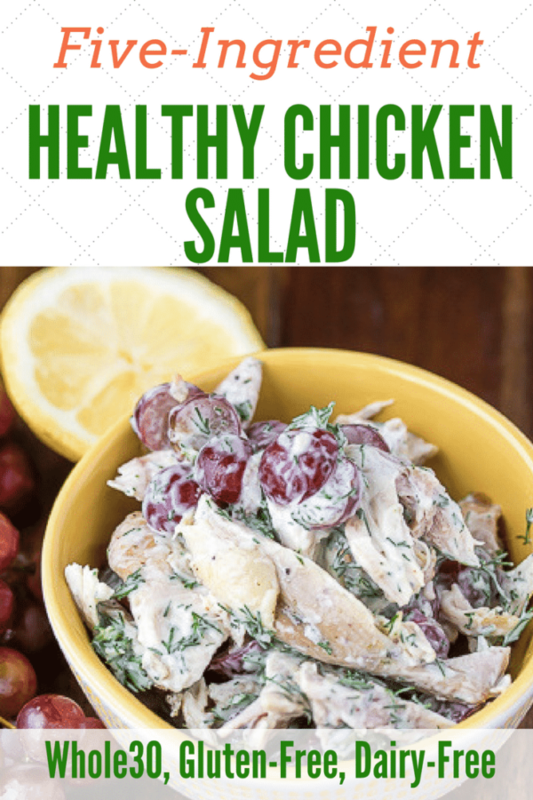 The ingredients are literally just cooked shredded chicken, grapes, fresh dill, prepared mayo (make sure it’s Whole30 compliant, I recommend this one), and lemon juice. Add salt and pepper to taste. When choosing chicken to cook at home, I highly recommend purchasing organic, pasture-raised varieties. Yes, this will be more expensive than most chicken, but it’s really important! A natural label on chicken is meaningless; it’s important to get both organic and pasture-raised. To ensure I get poultry that meets these requirements, I use and recommend buying from U.S. Wellness Meats (affiliate link included). 1 cup shredded cooked chicken, from about 1 large cooked chicken breasts or 2 medium chicken thighs. 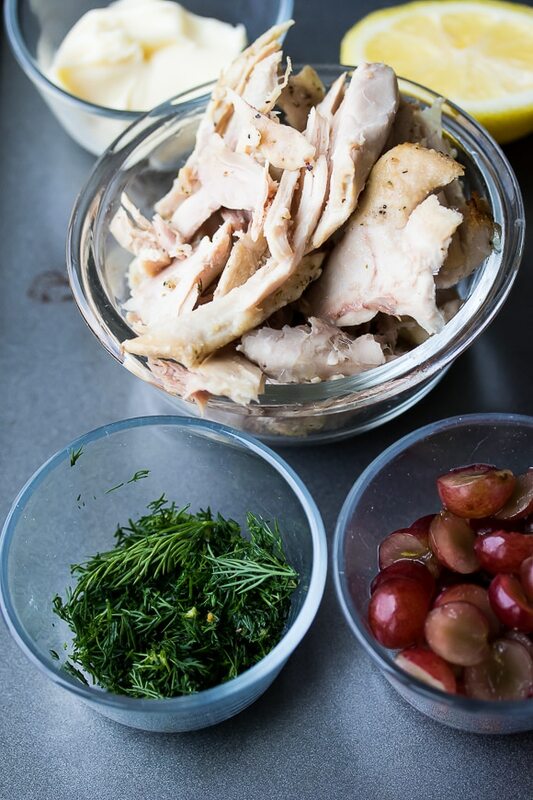 Combine the chicken, grapes, dill, lemon juice, and mayonnaise in a medium glass bowl. Use a spatula to gently mix the ingredients together, until the chicken is coated with the mayonnaise. Serve cold or at room temperature. Store any leftovers in the refrigerator for 2-3 days. Feel free to add 1/2 cup of chopped celery. If you like spicy flavors, you can also add 1/4 teaspoon of dijon mustard. 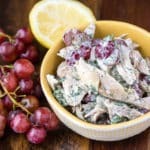 I never thought to add dill to my chicken salad even though I adore it! Great idea! And I agree wholeheartedly about organic, pasture raised chicken. Have a great week! 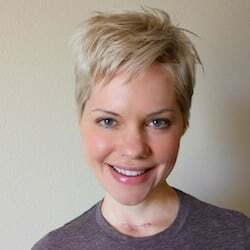 Thanks, Tiffany!!! Right?! I adore dill too, I’m adding it to everything lately. XO. One of my favorite easy lunch recipes. Wow, so good. Love love love this recipe! Perfect for my eating habits.